Entrigue Magazine brings you articles on today's music and dance artist, Fashion designers, and rising stars of tomorrow. 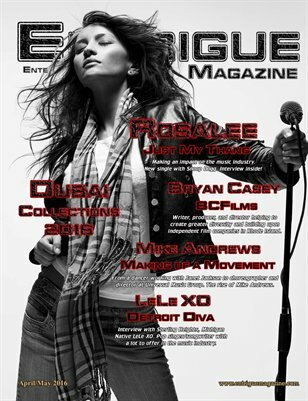 In this issue an exclusive interviews with R&B singer Rosalee, choreographer and director Mike Andrews, film producer and director Bryan Casey, Dubai collections 2016. You'll find these and much more in this issue of Entrigue Magazine.